This year’s spring drilling was a season of two halves, writes Steve Melbourne of Louth Tractors. Nature really does have a funny way of doing things and this year was no different, as it both challenged and impressed farm operators. Back in March when most of us wanted to get started, the weather was disruptively wet at exactly the wrong times. Nerves were put to the test - yet again - and many chose to get on with things regardless, even if the conditions were less than ideal. It was an understandable choice given the circumstances at the time, but one that will no doubt have brought extra headaches. Others decided to wait it out, and those farms have been the real winners of late. Just when it seemed like they’d made the wrong decision, the weather turned and rewarded their patience with weeks of prolonged warm, dry weather. The ideal conditions for getting drilled up by anyone’s standard. April was dry - too dry according to many - but it’s been the light at the end of the tunnel for spring drilling. The farms that gambled and played the waiting game have been vindicated and have benefited from all the good weather they could need. For those now busy spraying, drilling might already seem a distant memory. But it’s always interesting to consider the margin for error between success and failure in farming. Sometimes it’s the smallest things - like waiting one more day for drilling - that can make all the difference. Sometimes getting it right comes down to experience, sometimes it’s chance. But if you call it right, what does it matter? 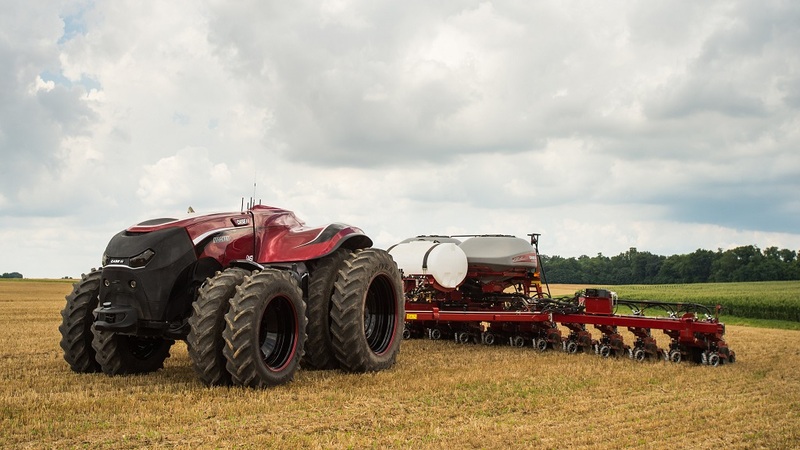 Regardless of when farms started or finished this year, their reliance on technology to get the job done has kept on growing. For many operators, an auto guidance system has become the norm. It’s as essential as the steering wheel inside the cab now and is almost as important as the farm operators themselves, who are building technology into their working days come rain or shine. Waiting for the weather will always be a part of farming but when it comes to technology, waiting is no longer an option.